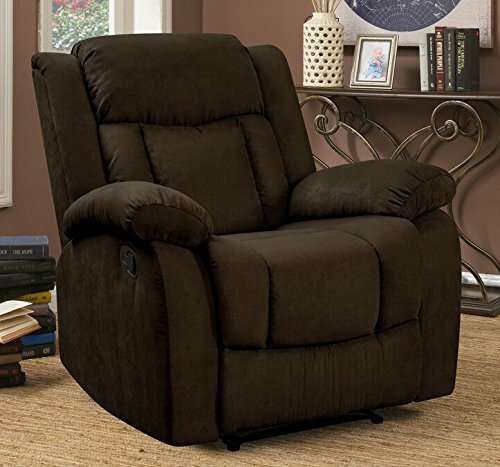 You can never be too comfortable in this generously designed overstuffed recliner.This recliner features an easy to reach open handle that offers full range reclining, sinuous spring seating and pocketed coil construction for added long lasting comfort.Solid frame constructions has been rigorously tested to simulate the home and transportation environments for improved durability. If you have any questions about this product by Pearington, contact us by completing and submitting the form below. If you are looking for a specif part number, please include it with your message.